Don't know what to do? Buzz does! Buzzell Law Group, PC provides excellence in Workers’ Compensation, Labor and Employment Law matters. We assist employees in San Francisco and the surrounding area in a wide range of work issues. Our attorneys are standing by and ready to assist you with getting the most favorable outcomes possible in your case. At the Buzzell Law Group, PC, we are committed to providing our clients with effective legal representation when they suffer injuries on the job. With offices in San Francisco and Sacramento, and a large client base that is serviced throughout all of Northern California, our firm is well positioned to represent injured workers in the administration and litigation of their claims and cases. With 70 years of combined experience, our San Francisco workers’ compensation attorneys know what it takes to help our clients receive the compensation they deserve after work-related injuries and illnesses. If you or a loved one has been injured on the job, contact our attorneys today for a free, no-obligation case evaluation. You can call 415-552-5582 or contact us online now to get started. Does Workers’ Compensation Cover You? Not only are work-related injuries physically debilitating in some circumstances, but the vast majority of claims are complex and stressful. Our San Francisco workers’ compensation attorneys understand what you are going through. Not only do you have to deal with the injury or illness itself, but your career may be placed on hold while you recover. Your medical condition and your employer’s insurance carrier, depending on the circumstances, may cause you to miss opportunities for promotions, increased pay, bonuses, benefits, and the experience you need to advance your career in the industry you’ve dedicated your life to. After being injured on the job, you may face an insurmountable amount of medical costs and living expenses that you cannot afford to pay while you are unable to work. Our primary goal is to help our clients receive the compensation they need as quickly as the system permits – but that might not always be the situation. 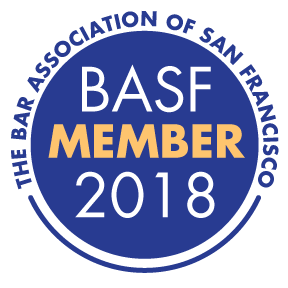 If we cannot settle through negotiations, our San Francisco workers’ comp lawyers will litigate the matter as required by the individual facts of your case. We never hesitate to take this step, because we know that sometimes it takes a fight to ensure our clients’ rights are protected, and all potential benefits are properly provided by employers and their insurance carriers. Through their administration of claims, employers and their insurance carriers seek to reduce the benefits they provide to their insureds’ injured workers, with balance sheets and earnings taking priority over labor and the workplace that employers have to create for their workforce. Insurers hope that after long enough, clients will back down and not fight for their rights, the medical treatment they need to effectively return to their position, and the compensation they are entitled to in order to compensate them for any permanent disability they may have sustained as a result of their job. Our attorneys do not cower or walk away. Instead, we show employers and insurance carriers we are serious – not only with our aggressive and conscientious advocacy, but our willingness to take cases the distance through trial when prudent/if necessary. Whether you suffered carpal tunnel syndrome from data entry and extensive keyboarding, to vision loss from a work-related accident, our team is here to advocate for the compensation you may be entitled to. We know that injuries take all shapes and sizes, with some coming from specific accidents and others coming from repeated exposure and cumulative trauma on the job. Regardless of how the injury or illness occurred, you have the right to workers’ compensation and the state requires that your employer carry this expensive insurance for instances just like this. If you are pursuing your legal right to benefits, time is of the essence. If you wait to report your injury or file a claim for workers’ compensation, you may lose out on benefits forever. You must file within the timeframe permitted by the State of California, and state law only gives you 30 days from the date of the injury or illness, or the date the injury or exposure was discovered. Reporting an incident to a supervisor is not the same as filing your claim. While reporting must be done quickly, you must also proceed with the official claim process. This requires that you complete and submit a DWC-1 claim form. The process of filing for workers’ compensation is more complicated than it seems. To prevent a denial or unnecessary delay in your claim process, you should contact an attorney at Buzzell Law Group, PC as quickly as possible. Our attorneys will help navigate you through the process of filing for compensation and will negotiate with employers, their insurance carriers, and/or their third party administrators, to ensure you get the compensation you deserve. If you were injured or acquired a workplace illness, you might have already filed for workers’ compensation benefits and are expecting your claim to be accepted. Unfortunately, even if you have a valid claim and follow the appropriate procedures, you may receive a denial of your claim from the insurance carrier nonetheless. The reasons for the denial must be listed in your denial letter, and these can vary based on requirements or other minor details. Why Would the DWC Deny a Valid Workers’ Compensation Claim? You did not report or file a claim on time (within the 30 days required by the state). The employer has disputed the injury or illness claim. The injuries were not severe enough or did not meet state requirements for compensation. The injuries were not work-related. There are a litany of other reasons a claim may be denied, but understanding the potential avenues to change the status of your claim is why you should consult with a skilled San Francisco workers’ compensation lawyer. An attorney will carefully assess the circumstances surrounding the denial of your claim, and look for opportunities to improve the chances of getting your claim accepted so you can receive the medical care and benefits you are owed. Before you file a workers’ compensation claim or attempt to appeal an adverse determination from an insurance company relating to your injury or illness, schedule a free, no-obligation case evaluation with the team at Buzzell Law Group, PC. Our firm has the experience you need to increase the chances of success in your case. Depending on the circumstances, an attorney may have a tremendous impact on the outcome of a workers’ compensation claim, and our firm is here to give you the chance of the best possible outcome. Do not wait to find an attorney, because the law limits how long you have to file an action with your employer and/or their insurance carrier, and to appeal those decisions that are necessary to support your case. If you live in the San Francisco Bay Area, greater Sacramento or Stockton areas, or anywhere in Northern California, and you were injured or contracted an illness at work, we highly encourage you to contact our team. Get started now by submitting a contact form online, or by calling our office directly at 415-552-5582. Matthew’s career has been almost completely focused on employment and labor related matters. From 2003 through 2010, he represented employers and insurance carriers in defending workers’ compensation claims. 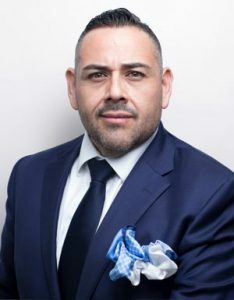 Through this experience, Mr. Buzzell established the Law Offices of Matthew J. Buzzell, III, in 2010, focusing his practice on the zealous representation of injured workers in Northern California. 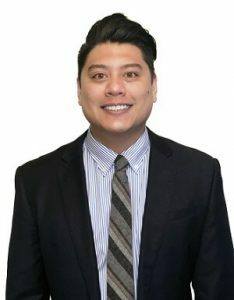 Jade Champathong is an Associate Attorney with the Buzzell Law Group, PC. 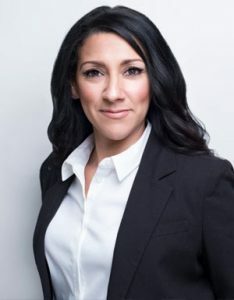 She has significant experience in all aspects of the Workers’ Compensation case including depositions, litigation before the WCAB, and settlement negotiation. 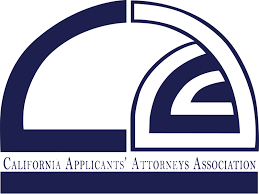 She is a sincere advocate for injured workers’ who often have difficulty navigating their way through the often complex and confusing California Workers’ Compensation system. 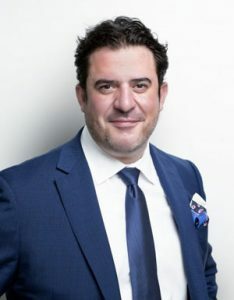 Steven M. Kleiman is an Associate Attorney with the Buzzell Law Group, PC. 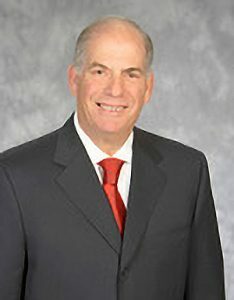 Steven has been a Certified Workers Compensation Specialist since 1979. Steven graduated from San Jose State University with a degree in Political Science. Thereafter, he attended Golden Gate Law School in 1974. Susan Cardona is a Senior Paralegal who joined Buzzell Law Group in 2012. Susan graduated from Ohlone College, Fremont California, where she received her Associated Degree in Liberal Arts and graduated with Honors. Susan began her career in Law while attending Skyline College, where she received her Paralegal Certificate in 2015. 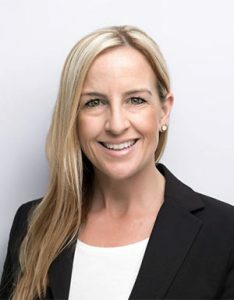 Financial Consultant for Buzzell Law Group, PC, Rebecca is a highly experience, forward-thinking former Senior Director of Finance/Accounting in the Biotechnology industry. She is well versed in optimizing for efficient and timely compliance with all governing audits, reporting requirement and regulations in the accounting/finance arena. “How can I help?” It is a simple question, but a powerful one. When you are struggling with an issue in your business or work life and are not sure where to turn, sometimes all it takes to turn things around is someone who is willing to lend a helping hand. At Buzzell Law Group, PC, our commitment is simple: We do what it takes to help our clients. We understand that our clients come to us in times of need, and we also know that most people don’t know exactly what they need when it comes to protecting or asserting their legal rights. We work closely with our clients to understand their needs from their points of view, and our workers’ compensation lawyers rely on decades of combined experience to craft legal solutions that are custom-tailored to our clients’ unique personal and employment circumstances. Employees in California are entitled to a number of important protections. These protections include the right to seek “no-fault” workers’ compensation benefits in the event of a job-related injury or illness, and the right to be free from discrimination and harassment in the workplace. However, there are limitations on employees’ ability to exercise these rights as well; and if you have been injured or treated unfairly, you need an experienced attorney who can help you claim the financial compensation you deserve. Our attorneys represent employees in the San Francisco Bay Area and throughout California in cases involving workers’ compensation, Social Security Disability Insurance (SSDI), discrimination and harassment, wage and hour issues, migrant workers’ rights, and other employment-related matters. ...my case manager Susan Cardona is fantastic, and always returns my calls, or responds to my emails. 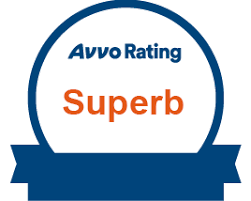 I have dealt with other law firms in the past and my opinion is this firm is very good. Estoy muy agradecida porque aqui me pudieron ayudar con mi caso y estuvieron muy dispuestos en ayudarme. Me dieron la confianza y yo los recomiendo a todos. 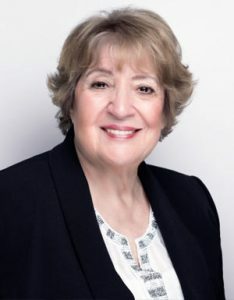 Los abogados de Buzzlaw son muy profesionales y son muy amables sobre todo la senorita Susana Cardona. The Buzzell Law Firm clearly hands down deserve 6 Stars. They Networked me to some of the world best doctors and surgeon. They were some of the most professional individuals that I've ever employed. They never gave up and fought very hard. Thank you for getting me what I deserved.